I was interested reading an article in today’s Southend Echo, titled: “New Mission launched to help towns homeless” (see here). A lot of it goes over ground I have already covered earlier in my Homeless Reflections e-book, but my interest is aroused whenever I read about any new mission that might go toward helping the homeless and it was also good to read about multi-agencies working together and especially the business interest. Having homeless persons in and around the town centre, often linked to anti-social behavior, street drinking and aggressive begging, does not particularly fit well with the idea of encouraging business and a thriving economy. I often get the impression when reading how some local authorities address homeless and business needs in their area is that it is either one of the other. Either you accept homelessness as a fact of life and maybe find solutions around it, taking a laissez faire approach, and at the same time drive away business, or you drive away the homeless from the town centre, without anywhere to go or having offered something, however inappropriate, and focus your attentions on making the town centre a more friendly environment for business to thrive. I am persuaded, however, that here you can have your cake and eat it. 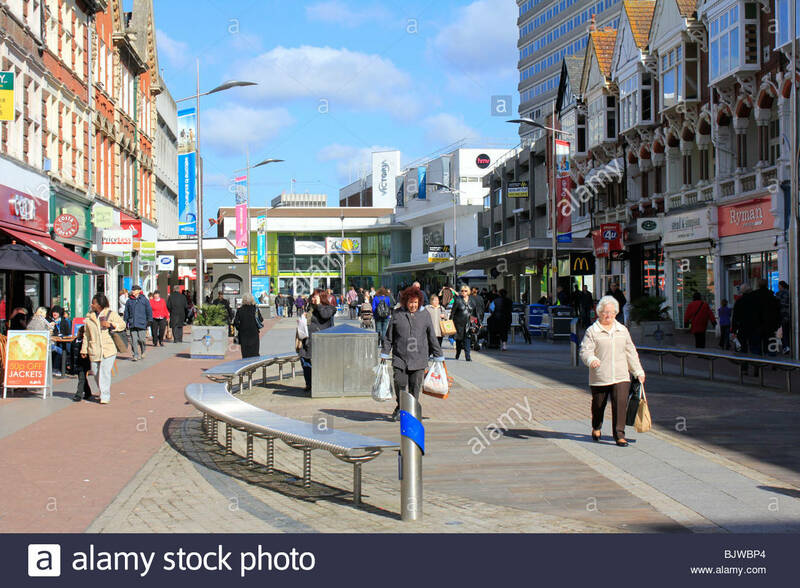 The town centre does need regenerating and while measures taken in recent years have added to improvements, the job is not complete and there is less money around to do what is needed. Dealing with the needs of the area that is between the Civic Centre and the Pier, taking into account the Esplanade, Seaway car park, the Queensway Estate, Victoria Avenue area and the High Street, including addressing transport and parking issues, should be important priorities as far as stimulating the town’s economy goes, which itself may well ought be the highest priority. I was disappointed with the quote from a senior police officer that some homeless folk choose to be homeless, because it reinforces prejudice and is not strictly true. The great majority do not choose to be homeless but homeless folk sometimes find it better to sleep rough than the alternatives they are offered and are incapable of sustaining accommodation should it be offered. Many who are homeless suffer from alcohol and drug dependency or mental health issues. All need help but often that help is NOT forthcoming because the services do not exist. Many who purport to be homeless, especially those “in your face” in the High Street area, are not genuine and many do so in order to extract money from the public through begging. Most homeless I come across are ok sort of people although if circumstances change could become less agreeable. There are some who are “nasty bits of work” who ruin it for the rest. Often for people hanging around the High Street who are homeless, there is a lack of places to go, things to do during the day and access to the very services and opportunities that one would deem to be desirable, as well as a lack of accommodation for such to go to at night. Southend is blessed with a vibrant voluntary sector that can play an important part in finding solutions. Already they deal with some of the needs but more needs to be done accommodating and supporting the homeless, and with the right encouragement, many of these issues can be addressed – but not all as that requires building more homes, helping the mentally unwell etc. Bringing together the Council, Police, Voluntary and Community Sector and (as the article reminded us) business, to improve the town centre and address homelessness, is the way to go. Creative solutions involving all parties are both needed and possible. Any of us can become homeless at any time and showing compassion to those who are in need, such as the homeless, while being robust in our dealings with those who break the law or opt out of engaging with services are not mutually incompatible.